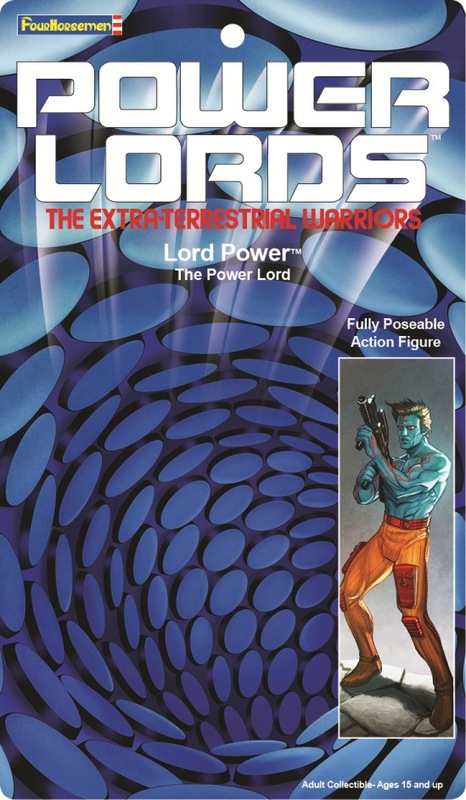 New Packaging Reveals Day Two: Lord Power!! Day two of our packaging reveals takes the excitement up a level because today’s reveal is none other than Adam Power’s blue-skinned, heroic alter ego Lord Power! The fantastic packaging art shown here features the talents of Nate Baertsch. Baertsch also helped Eric Treadaway design Mattel’s magnificent new Castle Grayskull and has done amazing work helping design Icon Heroes’ Castle Grayskull and Snake Mountain statues. Baertsch’s art perfectly captures Lord Power’s iconic visage in a dramatic pose, featuring flowing hair and spectacular lighting. We’re also happy to note that unlike the vintage Lord Power figure, this version doesn’t have Adam Power’s face sticking out of the back of his head. 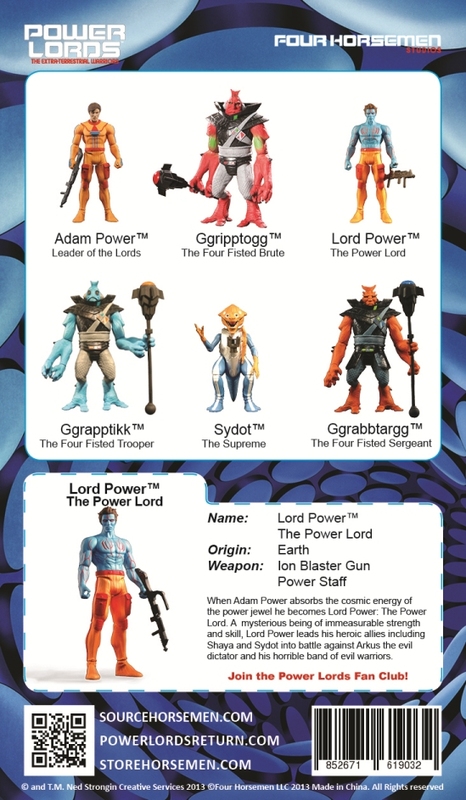 Because the new figures are glyos compatible, the transformation from Adam Power to Lord Power can be accomplished in a much more aesthetically-pleasing way by simply switching out Adam’s head and torso and snapping Lord Power’s powered-up blue one securely into place. Make sure you come back tomorrow for some more new packaging art.